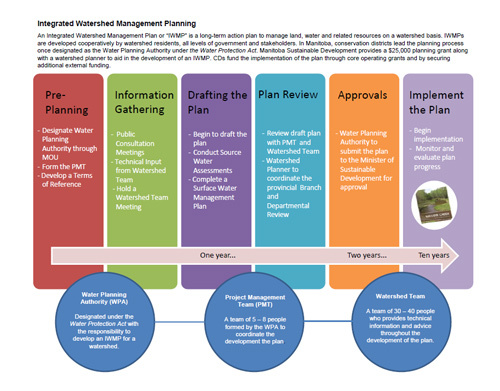 Integrated watershed management planning is a cooperative effort by watershed residents, government and other stakeholders to create a long term plan to manage land, water and related resources on a watershed basis. All watershed management plans are unique and are a reflection of the landscape and concerns of the community within each watershed. 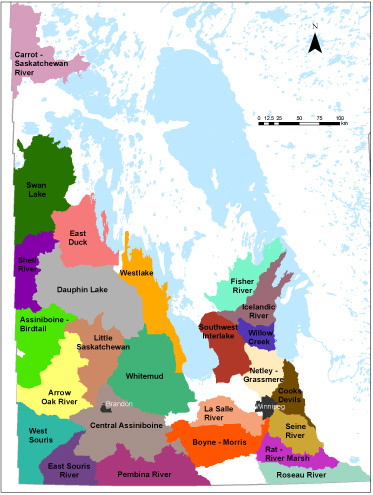 In Manitoba, Conservation Districts play a large role in plan development and implementation. There are opportunities to get involved with a watershed planning initiative near you. Use the map to your right to click on your watershed and find out more about integrated watershed management planning in your area.